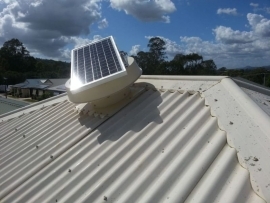 A standard roof whirlybird roof vent is the go-to solution for many homeowners across Australia seeking to ventilate their homes. Why wouldn’t you consider it? With roof temperatures soaring as high as 60-70 °C degrees through summer, it is only sensible to seek out a solution to keep the home temperature stable. However, your average roof whirlybird suffers from several drawbacks that can impact your home temperature, and even your health! 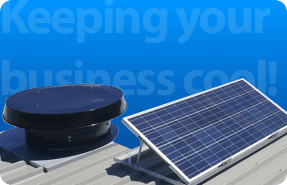 The Solar Whiz domestic roof vent is markedly more powerful, reaching 21x (times) the airflow capacity of your average whirlybird unit, and is far more capable of keeping you and your home cool, and well-ventilated. Most solar roof ventilation brands state their fan’s theoretical capacity with no restrictions (such as the cap on the unit which is necessary to prevent water from entering the roof where the roof ventilator is located). However, they usually won’t state the whole roof ventilator’s actual capacity. This obviously gives a higher reading, but is not applicable in the reality of the airflow capacity. 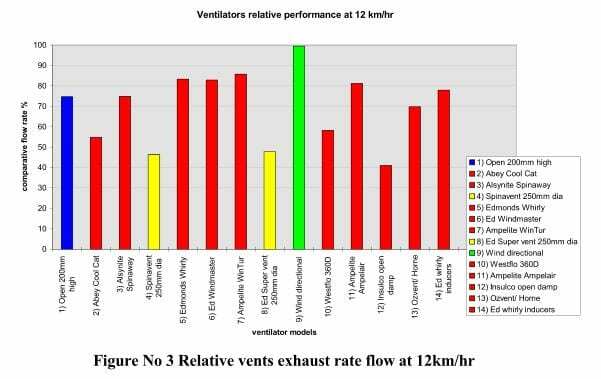 Make sure you check what the actual airflow capacity is with the roof ventilation competition before you make your decision! 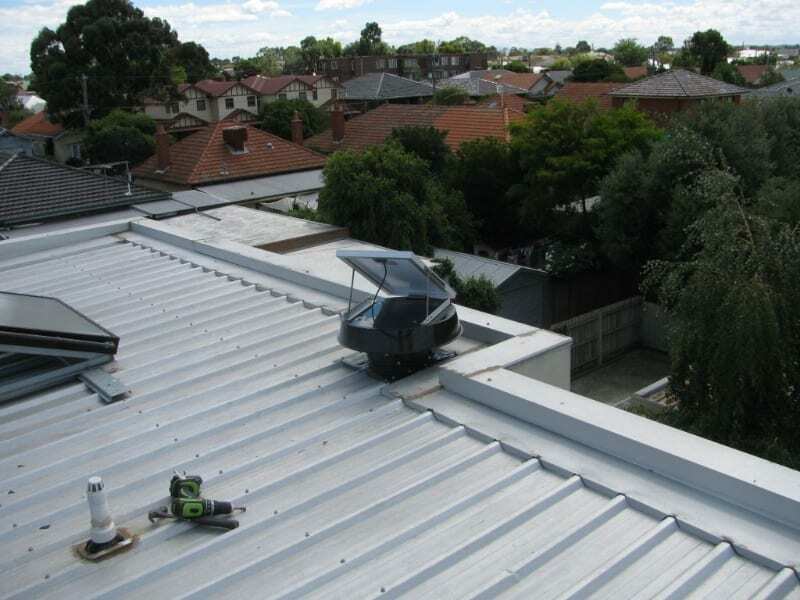 An average roof whirlybird may only be capable of moving 100 m3/h (Cubic Metres of Air Per Hour), a mere fraction of the ventilation power of even our smallest Solar Whiz air ventilation unit. A conventional whirlybird can only provide limited ventilation during favourable (i.e. windy) weather conditions. The Solar Whiz however, is capable of reaching 700 m3/h at peak capacity. And this is only the smallest unit we provide! The diagram as shown above demonstrates a variation of different roof whirlybird brands and their respective exhaust rates. 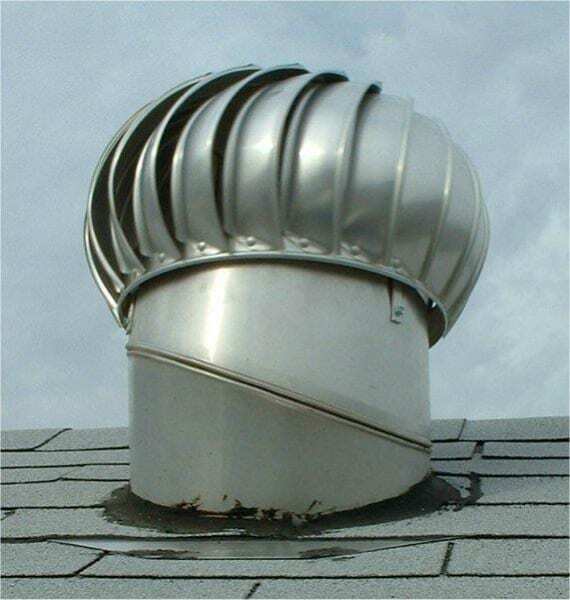 The key to successful roof ventilation lays an air ventilation unit’s potential to flush out the warmer air contained within a roof space in a short enough time to ensure heat does not radiate back inside quicker than it can be ventilated out. Having many access points for airflow such as eaves or through the rafters allows for the a roof ventilator to swiftly exhaust the heat from within the roof space—however, domestic whirlybirds simply do not have the capacity to manage this, especially if it isn’t a windy day. The Solar Whiz escapes this technical difficulty by harnessing solar energy to power it. Thankfully there is bound to be plenty of sun during a warm summer day. A single Solar Whiz unit is effectively able to ventilate a roof space and keep the ceiling cooler overall. Consequently, this in turn aids in your home cooling solutions by not having to work overtime—pretty energy efficient! A standard roof whirlybird style configuration will rarely be able to supply enough ventilation to cool the roof. Wind-reliant circulation simply won’t keep up with the rising temperatures in the roof. 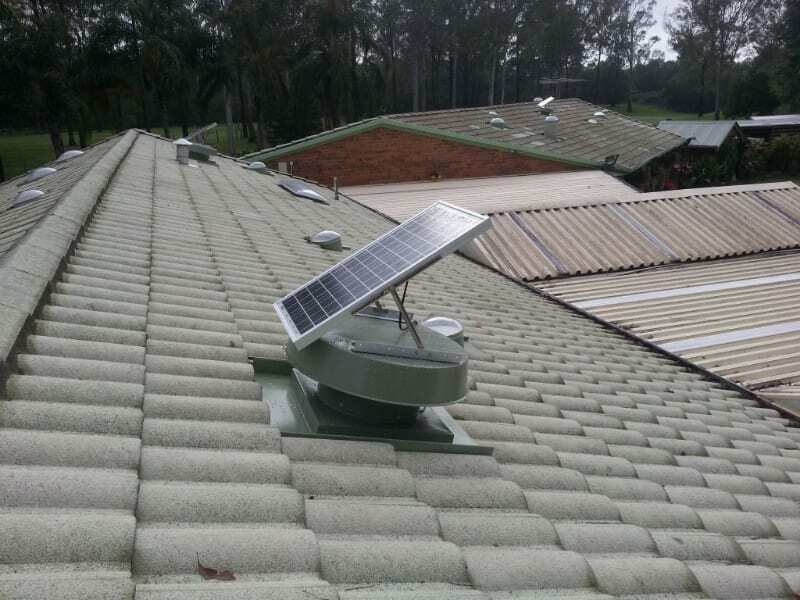 While the Solar Whiz is a powerful alternative for roof ventilation, it is also helpful in protecting your roof space. Wind-driven roof whirlybirds will run in particularly windy conditions, however also runs during windy, rainy weather. This allows for moisture to build up, leading to potential health hazards such as mould, fungi, or even structural damage. 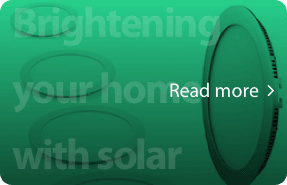 A Solar Whiz is designed to limit any potential moisture intake; helping you, and your family. 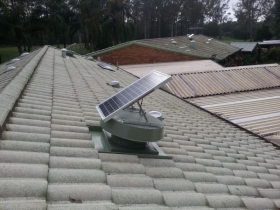 The Solar Whiz Roof Ventilator also works throughout the day, able to operate even with limited sunlight conditions in overcast days. This ensures that your roof space is at an optimal temperature at all times; while conventional roof whirlybirds may allow heat to gather inside your roof space. Most whirlybirds get by with wind to help operate them. They may also be driven by the expansion of air in your ceiling, such as the development of hot air. Why allow hot air in your roof space to begin with? A Solar Whiz is capable of 10-30 times the heat extraction power of standard roof whirlybirds. Consequently, the Solar Whiz range renders your average whirlybird roof vent inadequate during the summer seasons. Additionally, it is solely powered by solar energy and is free to run! It is also able to be powered overnight to ensure your roof space is cool throughout the whole day. “Over the last five years I have had two roof whirlybirds from Bunnings in my ceiling. I later did extensive research and was determined to find an alternative to whirlybird roof vents. My home was still too hot. I came across the Solar Whiz being talked about on several Whirlpool forums. Then I inquired about the units and found that there were three different sizes available. As I have a split level house, with four levels and cathedral ceilings, I opted for the largest unit. I got the SW3000 (now replaced with the even more powerful RAF2100), with a night control option and an adjustable thermostat. I installed the unit over the main bathroom (took approx 2 hrs). The unit started running immediately, and I could feel the air being pulled already! I have also noticed that there is minimal condensation on the windows since the installation. Also, the odours previously in the house do not hang around anymore. If we burn something in the kitchen the smell is gone within the hour! The night operation unit is a fantastic added extra as it allows us to pull cool air in at the night. We simply just set the adjustable thermostat and go to bed. Our house also has an air-conditioning unit and ceiling fans. We rarely use it now, opting just for the fans and the Solar Whiz. However, on the odd occasion that we do use the air conditioner, it does not have to work nearly as hard to cool the house as it did without the Solar Whiz. Installing a Whirlybird roof vent is quite similar to that of the Solar Whiz. The entire system is capable of installation on either tiled roofs, or metal roofs! Installation is quite simple, and may be easily installed yourself! While it may be more cost-effective to buy a whirlybird, the amount of roof whirlybirds required to properly ventilate your roof-space as will quickly get expensive. In the long run, the investment in a Solar Whiz will out-perform any whirlybird-style configuration. 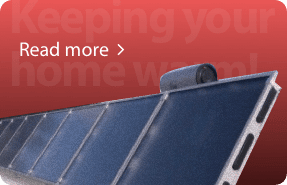 Interested in seeing how the Solar Whiz is installed on either a Tile Roof, or a Tin Roof? Click on these links to see just how easy it is! There are also printable instructions for either a Tile Roof Installation, or a Tin Roof Installation. 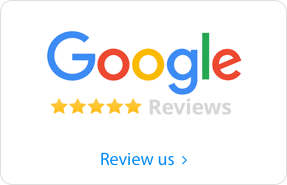 We also have detailed DIY instructions (Click to see how), or for any roofing contractor that handles Whirlybird roof vent installations. Even if your home is new or old, a Solar Whiz could be fitted for better air conditioning performance. Not only will it allow better air quality & cooling, but it also runs incredibly quiet! The double-shielded ball bearings and brushless fan motor enables the Solar Whiz to run powerfully, while quietly. The perfect addition to any office space, home, school, or even warehouses or sheds! Solar Whiz installation is easily managed either DIY , or through our dealers. 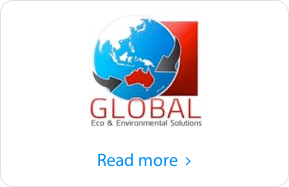 We also have coverage of regional centres around Australia. 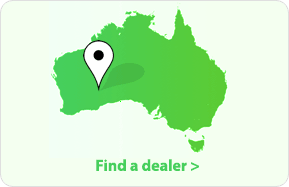 Feel free to refer to our dealer overview for more information.